In the early evening of Friday, May 25, 2013, we rolled up to our road trip's most prominent destination. In Northport. WA, on the south bank the Columbia, about 7 miles south of the Canadian border, is Kuk's Tavern, one of the very oldest operating bar locations in the state of Washington. 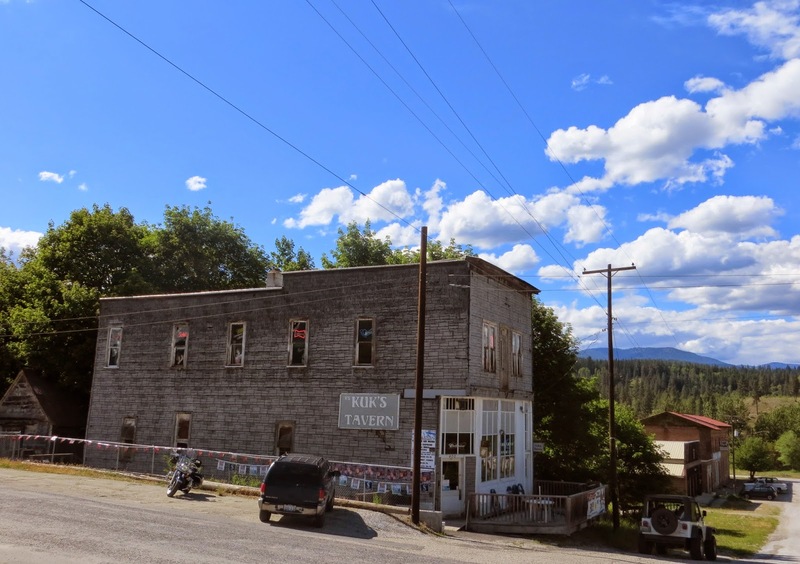 Long gone are the rollicking boom-town days when miners poured into the area seeking placer gold, and the LeRoi Smelter operation covered 30 acres, baking gold, silver, copper and lead ores and pouring slag into the river. The mining rush started with some strikes on Red Mountain in 1890, and by 1892 the first railroad train pulled in, tugging a flatcar with a post office and saloon on it. The boom continued as the U.S. government opened the northern part of the Colville Indian reservation to miners in 1896. The Colvilles were several groups of nomadic peoples in the region before being grouped under the name from Fort Colville and subjected to the not atypical series of broken treaties, shrinking reservations, and diminished rights. 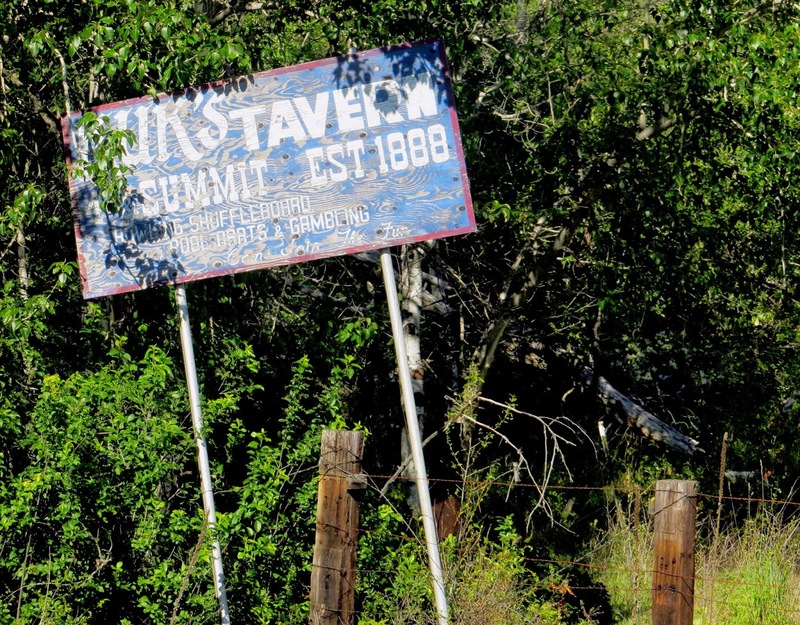 The European population of Northport approached 2,000 in the 1890s and it became known as one of the rowdiest mining camps in the state. The growth was sustained through floods and two large fires that destroyed most of the town in 1893 and 1898. But later, with the smelter's business falling off with declining ore supplies and labor conflicts, when the largest of all fires struck on July 29, 1914, the Northport boom times were over for good. Northport today is a pleasant, tiny town, hanging on with various old structures and vestiges of the past, but without the overwhelmingly touristy preciousness of a Winthrop or Leavenworth. According to a historical plaque featured on Kuk's Facebook page, the building hosting Kuk's was constructed in 1888 and started then as a saloon and brothel, apparently called "Skrobian's". An 1898 photo in "Gold Creeks and Ghost Towns of Northeastern Washington" shows what appears to be the same building under the sign of the Silver Crown Hotel. In 1902 the building was moved on logs to its current location in order to be safer from floods. It was later named "Fred's Pool Hall" by Fred Skrobian, and became "Kuk's" at some point under ownership of Marion Kukuk. This old but undated photo purportedly includes Kuk's Pool Hall. 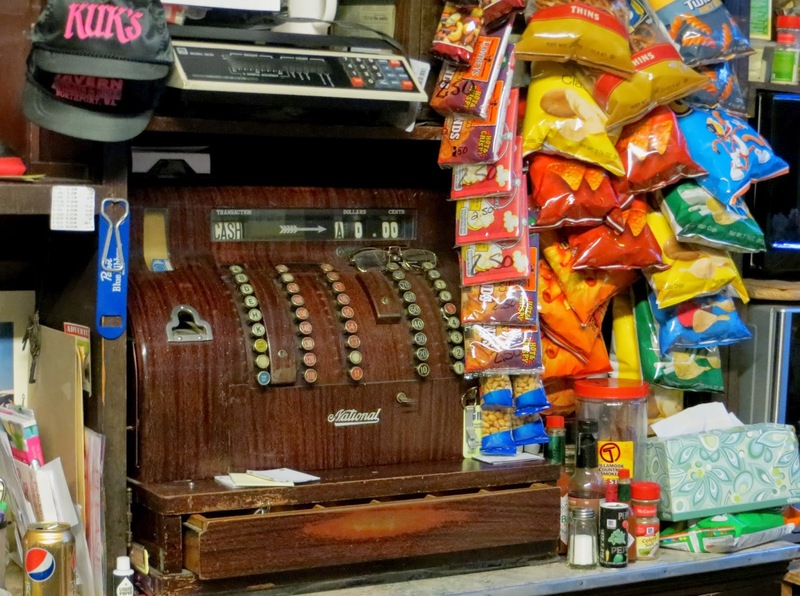 Kuk's claims to be the "oldest continuous and licensed tavern" in the state. I'm not positive of the particular basis for this claim, but if they have been continuously licensed (with the exception of prohibition) since it started as a saloon in 1888 or 1889, then it would appear that the only potential competitors to that claim would be the Oak Harbor Tavern or Bickleton's Bluebird Inn. I do not know how long either of these two bars has been continuously licensed, but from my investigations they appear to be the only currently operating bar locations to pre-date the Kuk's building. 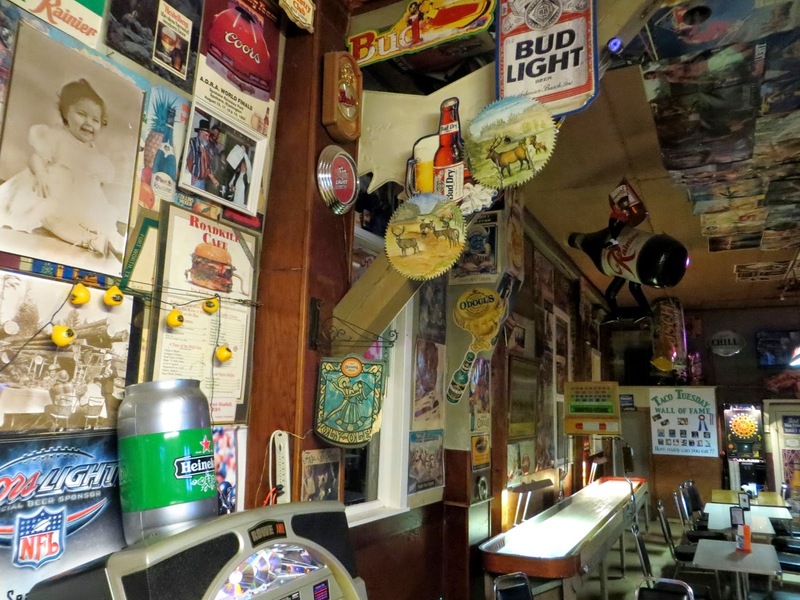 Kuk's today is a mixture of museum and small town dive bar. 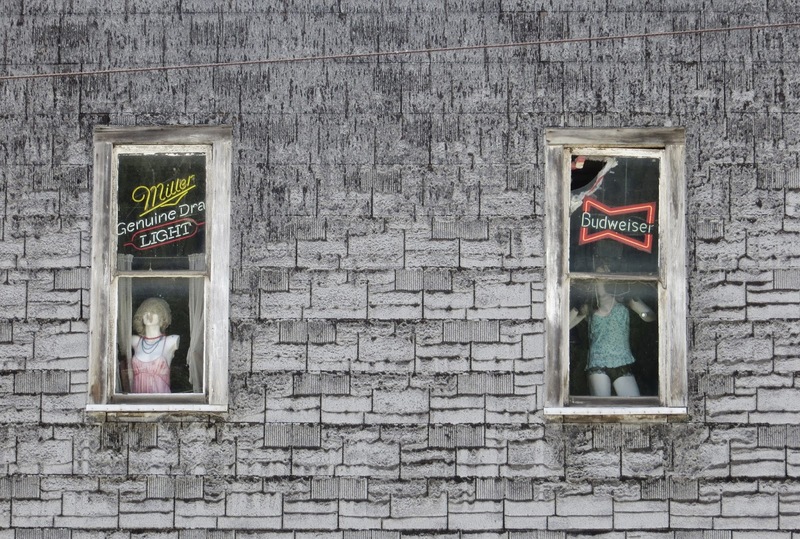 Female mannequins gazing out of the upper floor windows remind visitors of the bordello days. Vintage photos and sawblades painted with wildlife scenes mix with souvenir baseball caps and Budweiser girl posters. Local birthdays are listed on a whiteboard, and Taco Tuesdays at Kuk's ($1 for 2 tacos) are a community event listed on the Chamber of Commerce calendar. 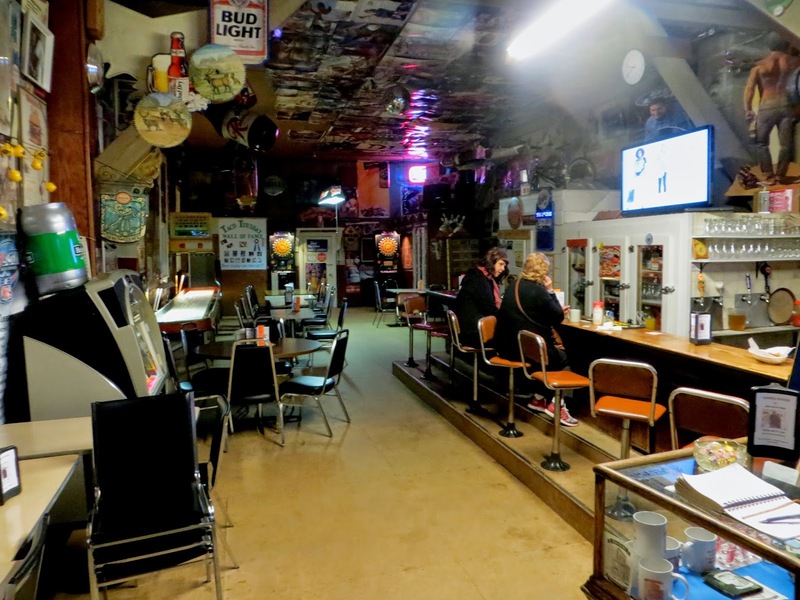 They have shuffleboard, darts, and pulltabs, and a few references to "Kuk's Tavern Bowling and Disco," which appear to be references to a broken down bowling game, a juke box, and small mirror ball. In addition to Taco Tuesdays they have a few snacks, burgers and pizzas, and offer a small selection of spirits and beers. Despite the limited food and drink options, the unique ambiance and the historical small town make Kuk's well worth a drive across the state to me.